SHALLOT - Shallots are small onions . It is a versatile veggie which when added to dishes enhances the taste. In addition of being flavorful , it offers a number of nutritional benefits. It is very good for diabetics. Now coming to this chutney,with just three ingredients it is prepared .The mild sweet taste of small onions,tanginess of tamarind and spiciness of the red chillies when combined together gives a unique taste. 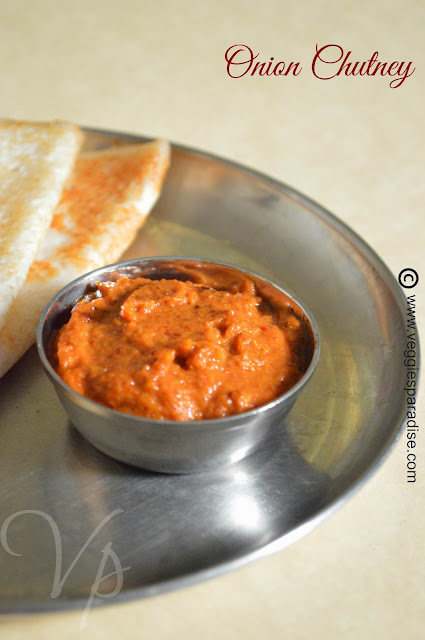 This chutney goes well with Hot Idli's and Dosa's. Add the small onions to the same pan and fry until it turns translucent. Remove from heat. When all the ingredients are cooled, grind them to a smooth paste by adding tamarind and salt . Add little water to get the right consistency. Simple and delicious chutney is ready to be served. delicious and yummy chutney for dosa and idli. Very tempting chutney. Perfect for idli or dosa. Tasty chutney. I too make shallot chutney and love it. I love chinna vengaya chutney as I feel the flavours of hte onion are so concentrated in the shallots without the pungency. I love anything with them! Lovely! 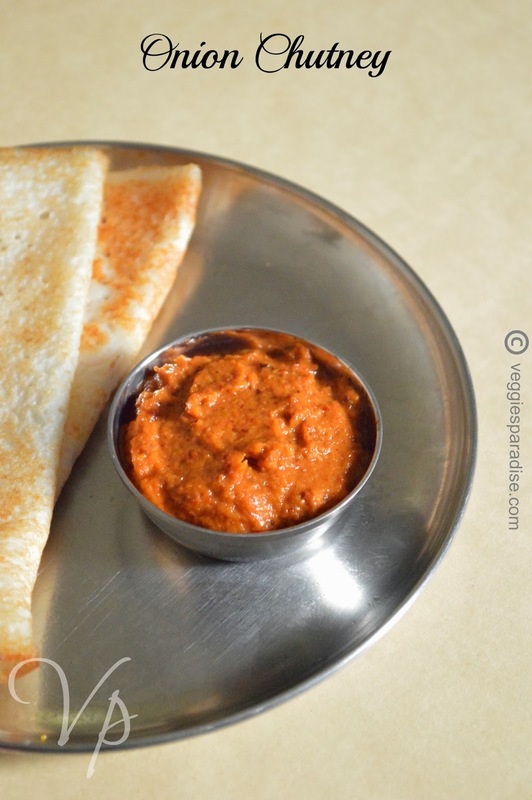 Love this chutney, looks super tempting with the dosas..
Who will say no aruna?Pass it to me.